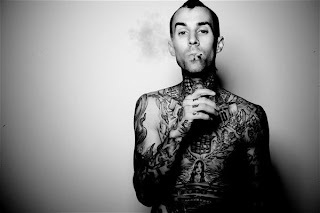 Travis Barker continues to impress with his fusion of drums and rap songs. First he started by drumming over popular hip hop track and then moved to original work with different artists. Here he teams up with indie-rapper Tech N9ne, who proves he is a beast of a lyricist. This track is also co-produced by Dr. Dre, so you know it is going to be on point. Listen below.